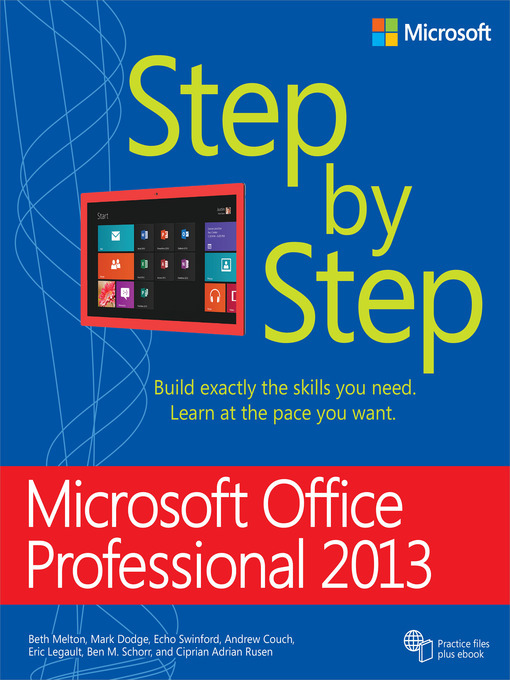 The smart way to learn Microsoft Office Professional 2013—one step at a time! Experience learning made easy—and quickly teach yourself how to get more done with Microsoft Word, PowerPoint, Excel, Outlook, OneNote, Access, and Publisher. With Step by Step, you set the pace—building and practicing the skills you need, just when you need them!